This item has been downloaded 40 times. 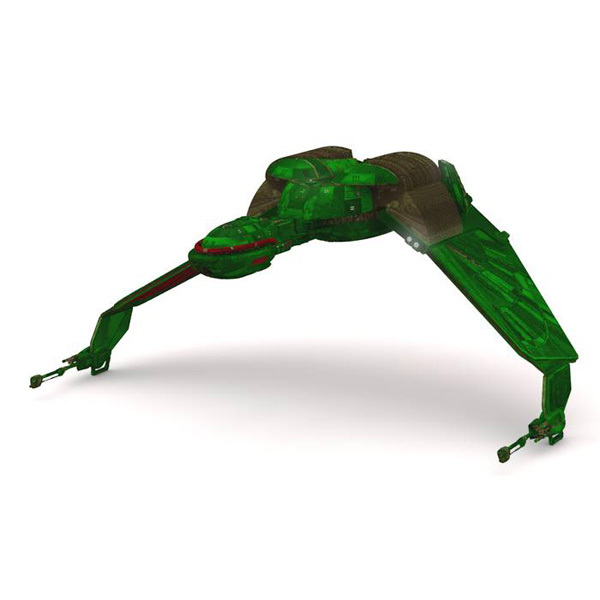 The Klingon Bird of Prey, from Star Trek III, Star Trek IV, and Star Trek: The Next Generation. The Bird-of-Prey of the mid-24th century was said to be equipped with the Klingon Empire`s "best weapons" and "finest warriors". While typically designated for peaceful missions, they were always "prepared to go into battle instantly." The typical offensive arsenal of the Bird-of-Prey included two forward-firing wing-mounted disruptor cannons, two photon torpedo launchers � positioned fore and aft � and deflector shields. By the 24th century, at least one ship of the class was armed with phasers, rather than disruptors, and possessed a weapons range that exceeded 40,000 kilometers. • Vue vob file, with 499,555 polygons. • Both wings can raise and lower and the joint centers have been set. • One "scratches" texture map to add more detailing. • All of the materials use Vue shaders. 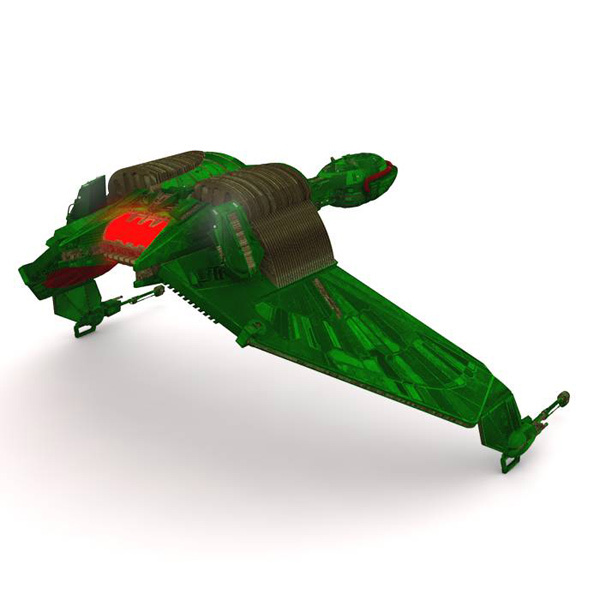 • The model uses a unique mapping technique to colorize different sections of the same material without needing large texture maps.